When this client came to Resi to undergo changes to the ground floor and loft of their East London home, they were left with the perfect design for a growing family. Not only did they gain a spacious social hub on the ground floor, but the property benefited from two extra bedrooms in the loft conversion. 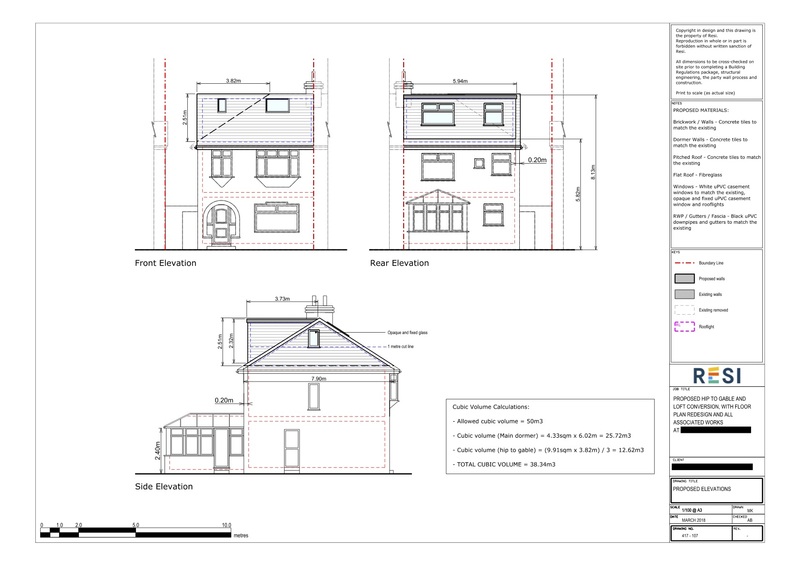 The loft conversion was carried out under a Lawful Development Certificate (meaning the homeowner was operating under their permitted development rights), and the rear extension was carried out under householder planning permission, both of which were granted on 20th August 2018. 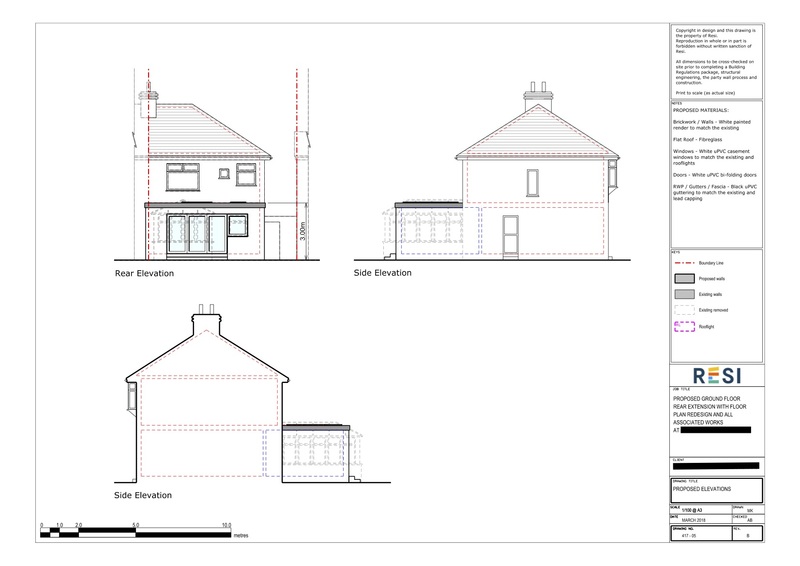 Our client was looking to undergo a ground floor rear extension and loft conversion for their property. 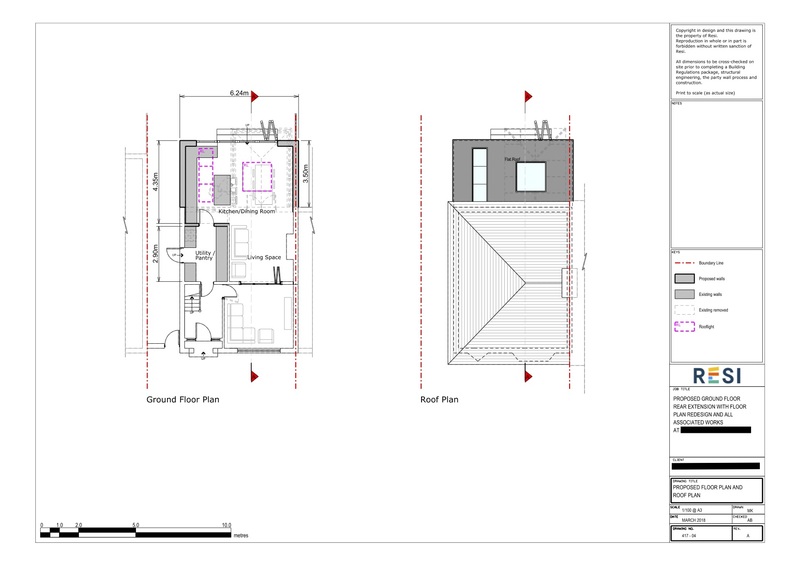 The aim was to create a family space on the ground floor, comprising a kitchen, dining, and utility room, and for the loft conversion, two new bedrooms and a bathroom. They also wanted to incorporate some sort of division between the existing living and dining space. 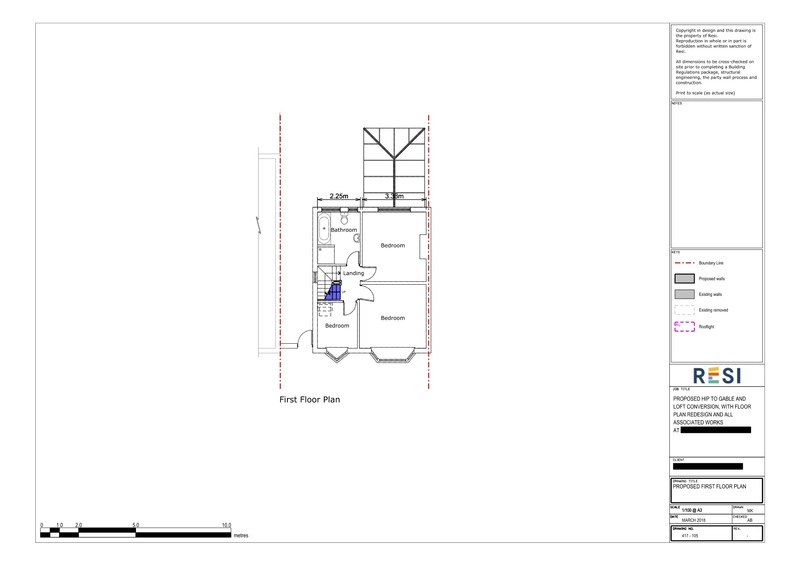 This project was to be done in accordance with a modern style, whilst bearing in mind that this new space will be for a family, so needed to be comfortable. For the ground floor, I extended this property out towards the rear, in order to accommodate an open plan kitchen, dining, and living area. To break up the space I added in a central kitchen island, and the new living area and lounge were separated by white uPVC bifold doors. To ensure this floor was filled with plenty of natural light, I added two skylights to the kitchen area, and floor to ceiling glass doors out towards the rear. I also managed to fit a utility room into the overall layout. 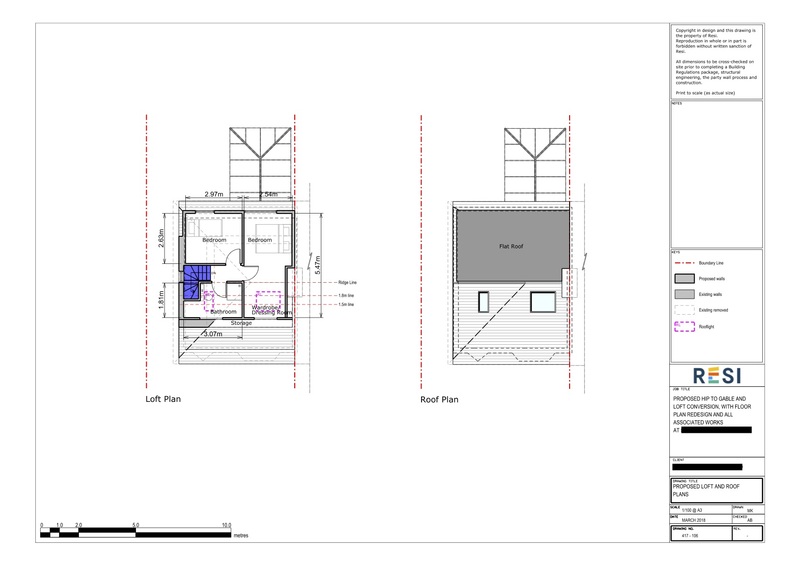 For the loft conversion, a dormer extension was needed to attain sufficient height. This resulted in two new bedrooms - one with a dressing room attached - and a bathroom. Two skylights were added to this floor, along with two windows overlooking the garden.